With such a vast land, China has so much to offer to visitors. From vast natural landscapes, to scenic mountains, fast-roaming rivers and hidden rural jewels, China is definitely worth hiking. 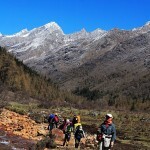 The following destinations are the top 5 hiking areas in China worth exploring. Maybe China is not very famous as a hiking destination, but this huge country is full of beautiful mountain regions and amazing landscapes. So if you are something of a hiker, you must also consider to visit the country of old traditions and hospitable people. 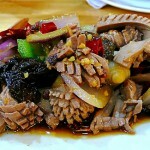 The following areas are only a taste of what China has to offer from a hiker’s perspective. 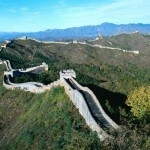 The most awe-inspiring structure made by man is certainly the Great Wall of China. It has been and still is a witness to Chinese history. Being at least 5.500 miles long, it can provide you with breathtaking views of mountains, deserts, plateaus and grasslands. Though all of its sections are accessible, the more popular ones for hiking are from Gubeiko and Mutianyu to Jinshaling and from Jinshaling to Simatai. 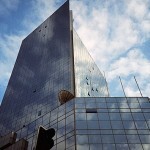 Almost everybody would like to climb or at least try to climb the world’s highest mountain. And a visit to Tibet without a closer look on Mount Everest is definitely a must. Though reaching the peak is not so easy, you certainly must be a pro, but if you would like to take a look around, the best way is to hire a local guide. You can’t miss experiencing the mystery of Tibet. 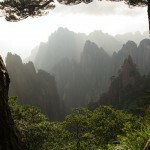 The most popular mountain hiking destination in China, apart from Mount Everest, is Huangshan or the Yellow Mountain. The unusual rock formations, its five famous mountains, hot springs and baffling views make Huangshan the perfect spot for visitors. There are several hiking routes and trails to choose from, but for those of a more comfortable way up to the mountain, a cable car is also accessible, so you basically have everything to enjoy an unforgettable hiking tour and not only, if you just want a getaway into this quaint spot of the world, you are also welcome here. The Yangtze is the world’s third longest river, thus along its way you can experience beautiful landscapes and hiking trails, though some of them are quite dangerous. The Three Gorges Dam offers scenic views and spectacular scenery to travelers, though hiking is advisable only to experienced trekkers. 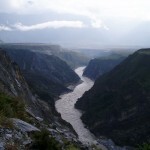 The tiger Leaping Gorge is the deepest canyon on the Yangtze and hikers can choose three routes to experience its beauty: one along the river, one high above the river and a third which is adventurous, though more dangerous so you must make every arrangement to be safe and need nothing during your adventure. 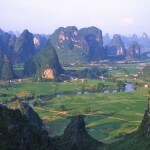 Southern China’s hiking gem is the beautiful Guilin, which provides picturesque sights of fantastic rock formations and breathtaking natural landscapes. The centerpiece of Guiling is most certainly the Li River, along which you can experience the beauty and the leisure pace of rural life. The Yangdi to Xingping section is the most recommended on the river. Beside the top 5 hiking areas in China, you can also visit scenic villages high above the mountains and get a glimpse of the life of ethnic groups, cruise along the rivers or explore the hidden corners this vast and rich land.